Shahla joined the firm in 2016. Shahla has been with the firm for over 3 years and during this time completed the Legal Practice Course. She works in the corporate and commercial law department, which includes company and commercial, intellectual property, and commercial property work. She manages case files and assists companies to achieve their commercial objectives in all 3 areas, and protect their business interests. She is particularly interested in commercial contracts and helping companies work through Intellectual Property issues. Shahla also manages all brand building for the firm. 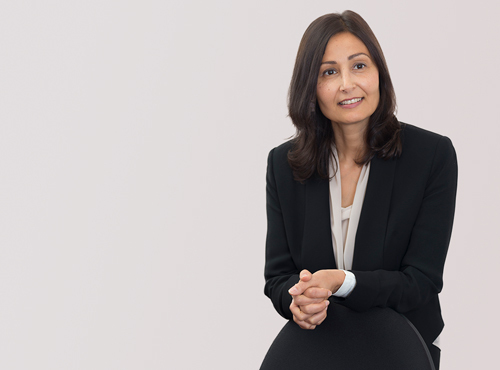 Prior to law, Shahla worked at a Senior level for over 10 years in the brand and communications industry in London. She worked with private clients from the following sectors: IT, telecoms, pharmaceuticals, functional foods, as well as charities. She has in depth experience with assisting businesses to scale up and grow, raise their brand profile, and better engage with customers. Her expertise involves qualitative research, advising businesses on commercialising products and services, developing brand building and communications strategies, and managing cultural change. She has completed the Graduate Diploma in Law (GDL) from the University of Law (London), and the Legal Practice Course (LPC) from the University of Law (Birmingham). She also holds an MBA and a Post Graduate Diploma in Management. Outside of work she likes to do yoga, swim and spend time with her family.